Location overview. Sligo is the main town in picturesque County Sligo. Some people call Sligo town a small city, buy either way its the main center of population in the beautiful west of Ireland. 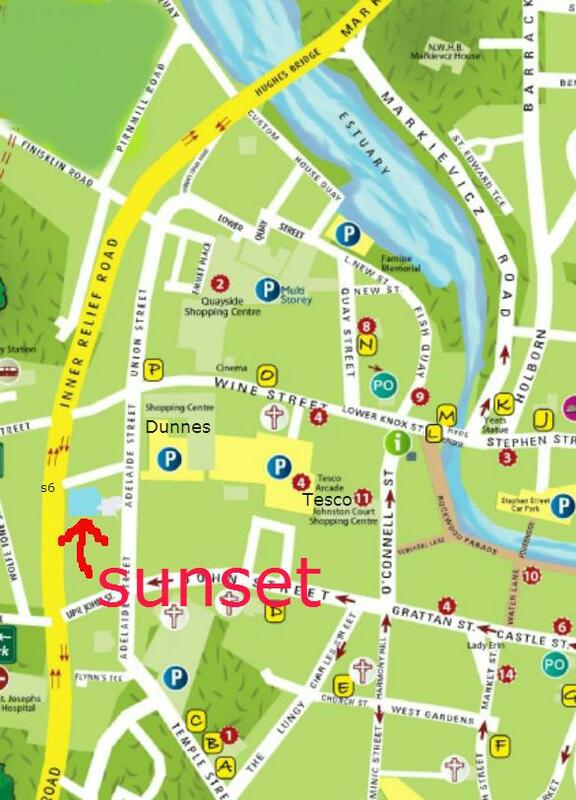 If traveling on the "west coast highway" between Donegal and Mayo or Galway, you will find Sunset conveniently located in Sligo, right next to the inner relief road going through the town, and on the town side of it. Free customer car park. Within 10 minutes drive we have a selection of beaches, mountains,the lake etc. Great location in the adventure capital of Ireland.